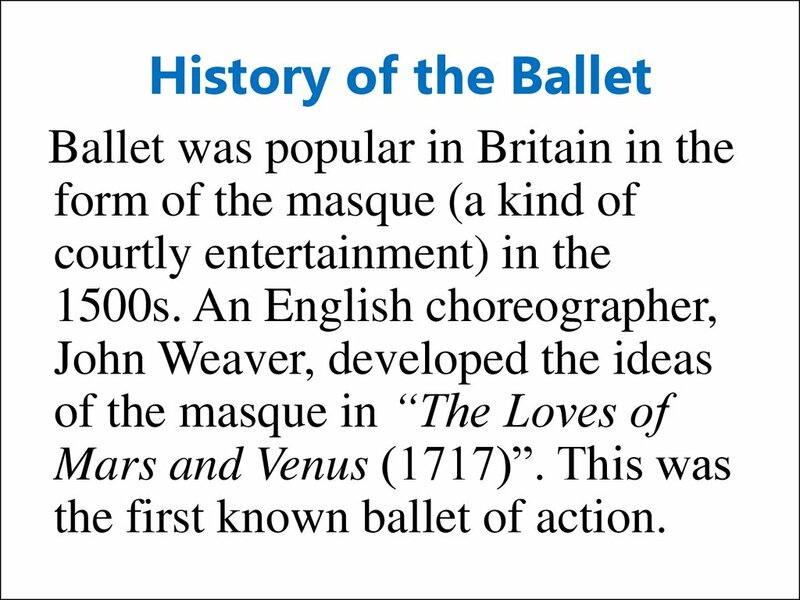 the first known ballet of action. 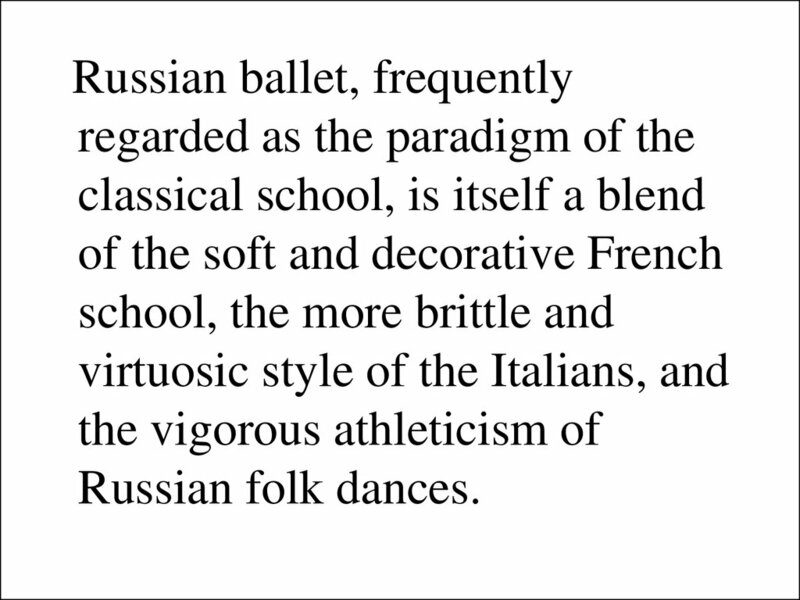 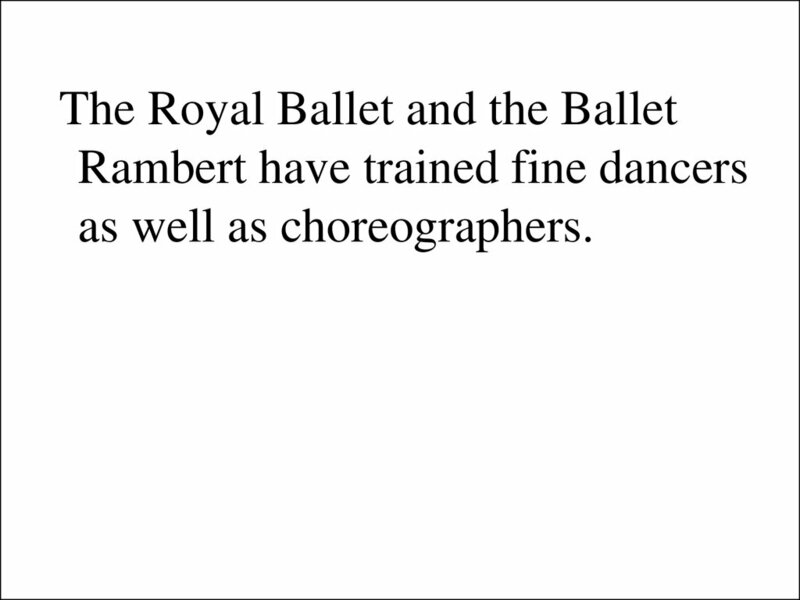 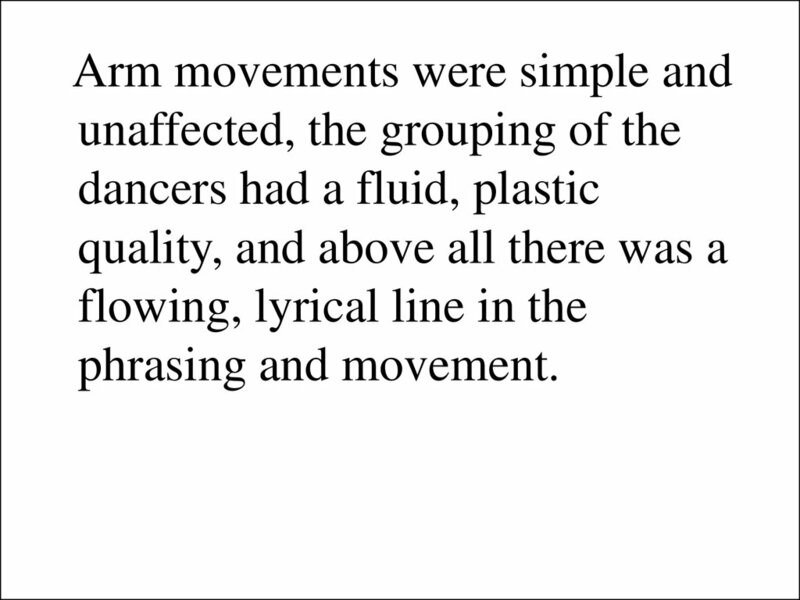 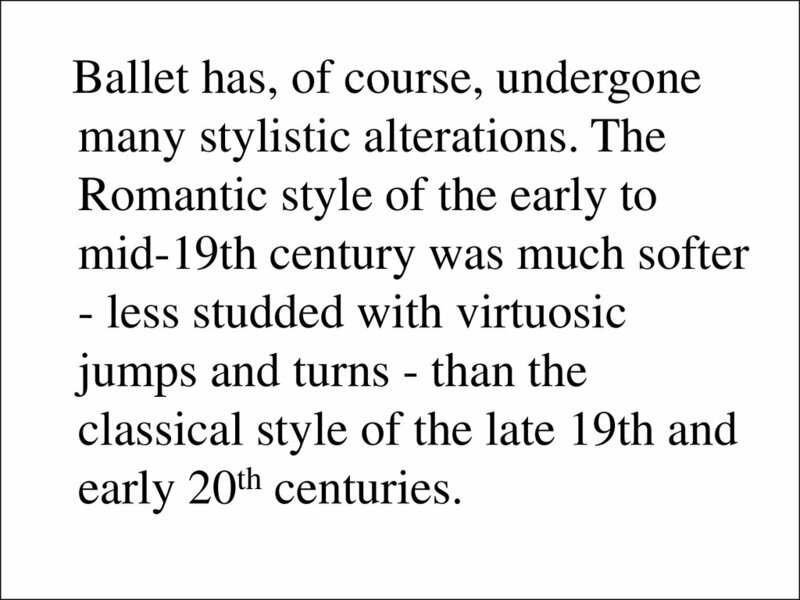 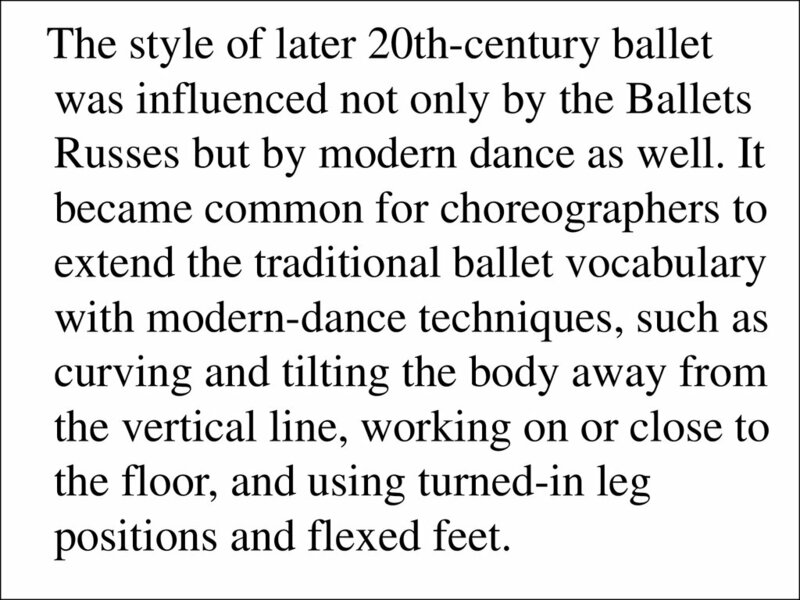 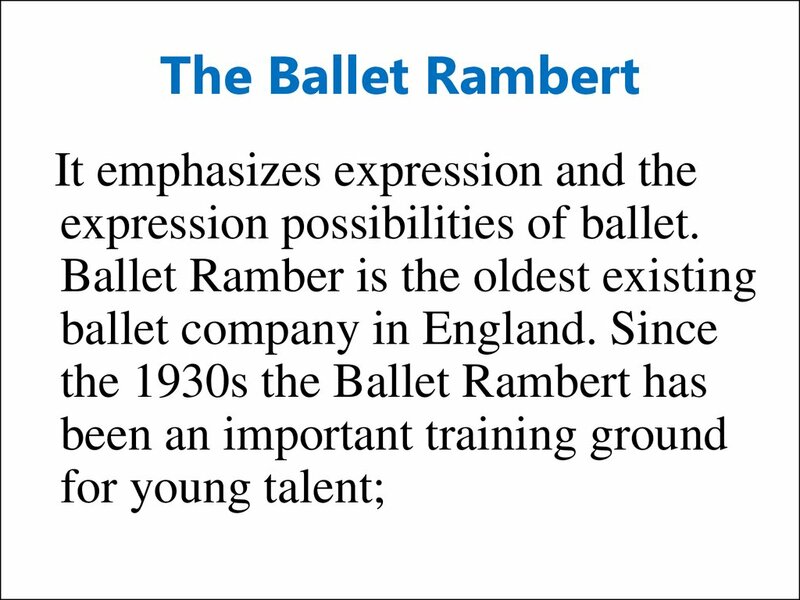 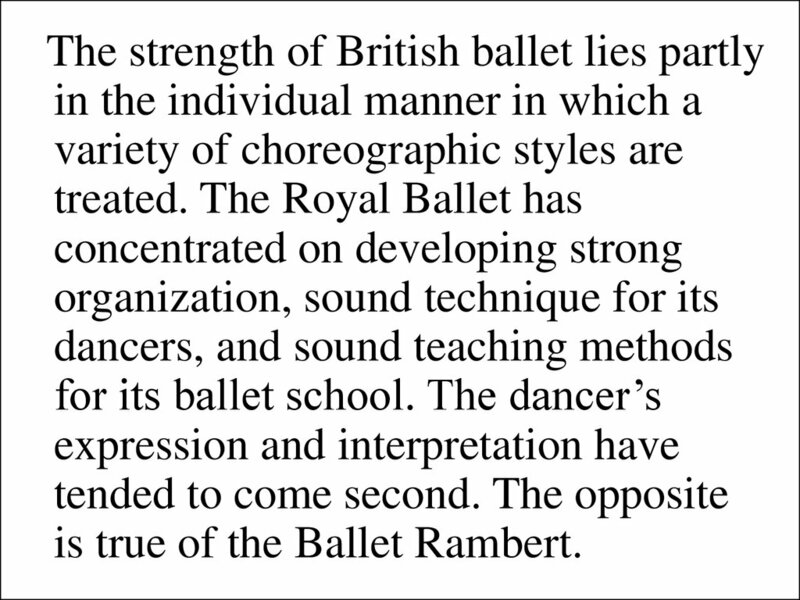 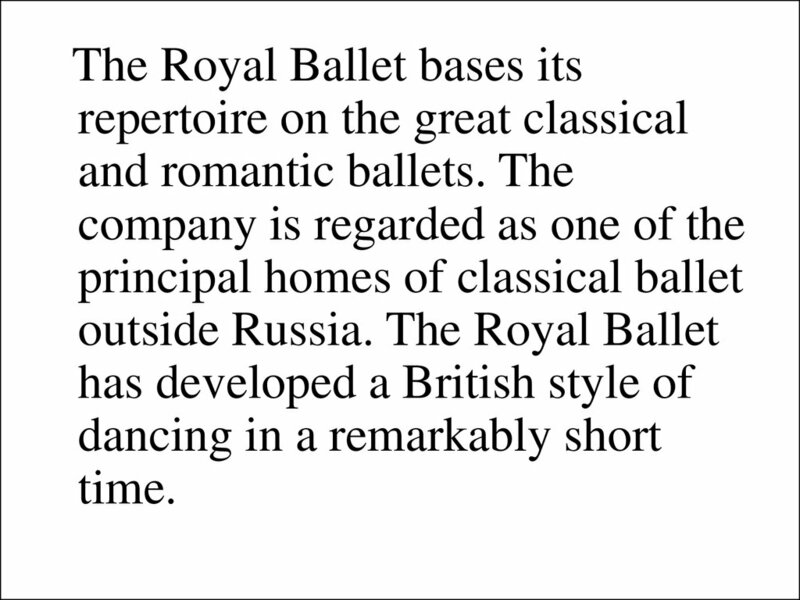 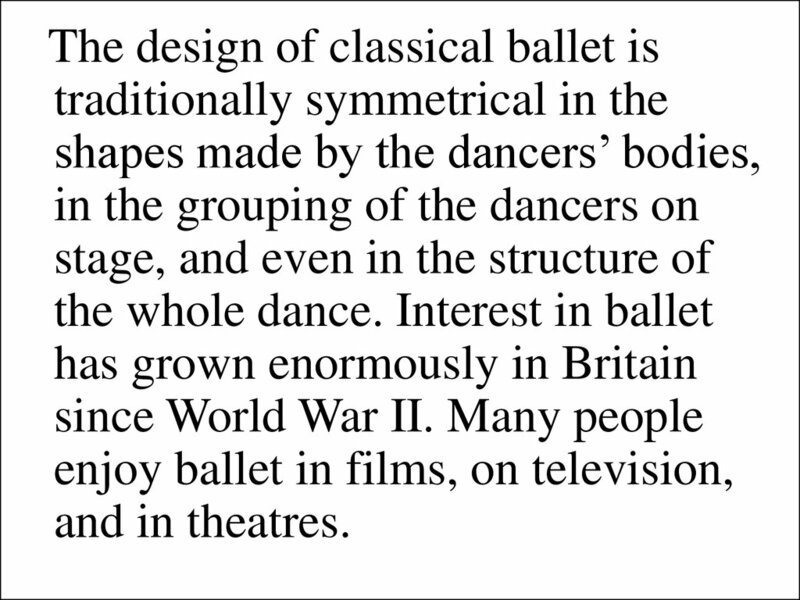 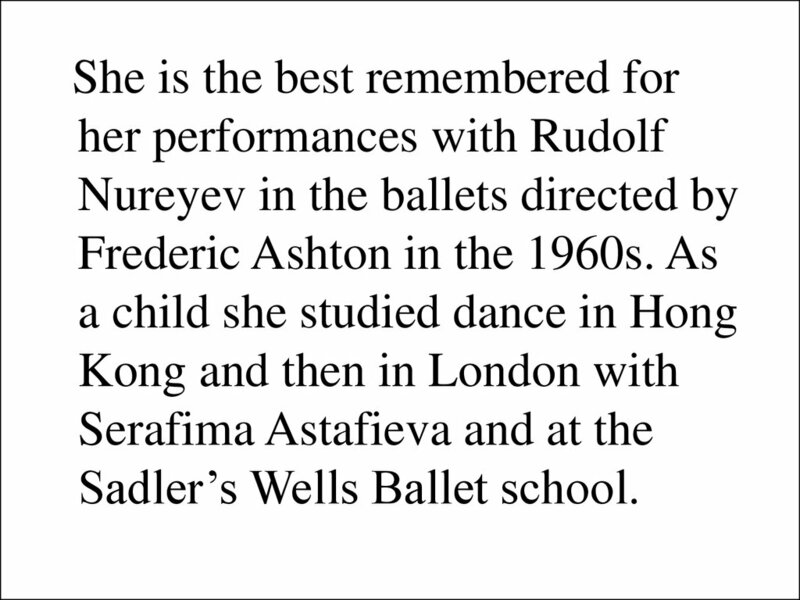 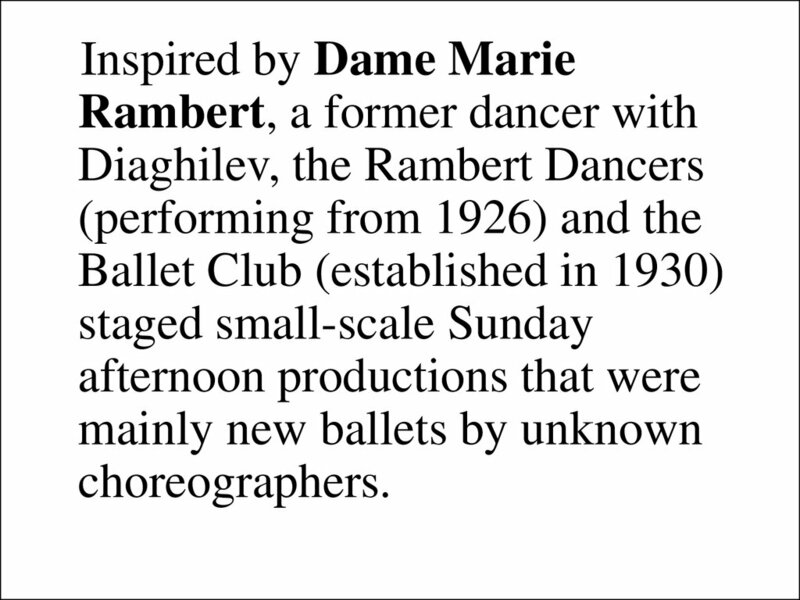 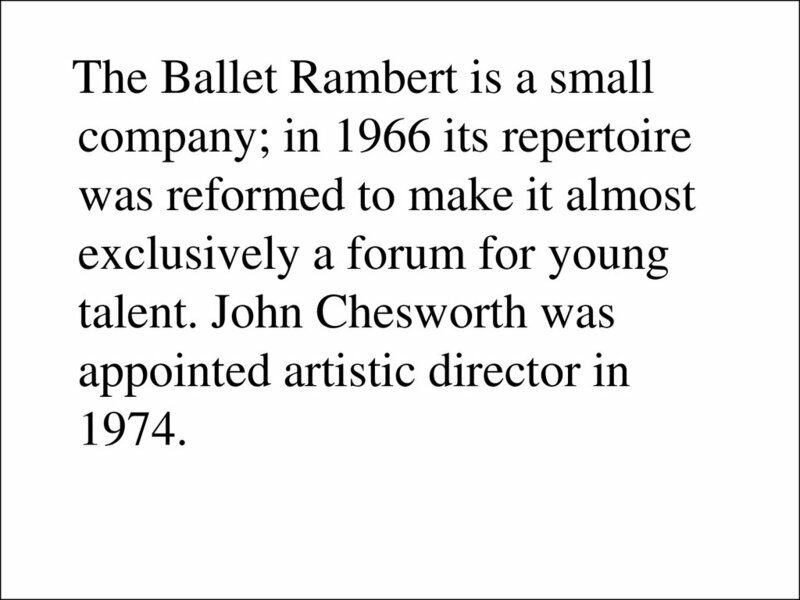 is true of the Ballet Rambert. 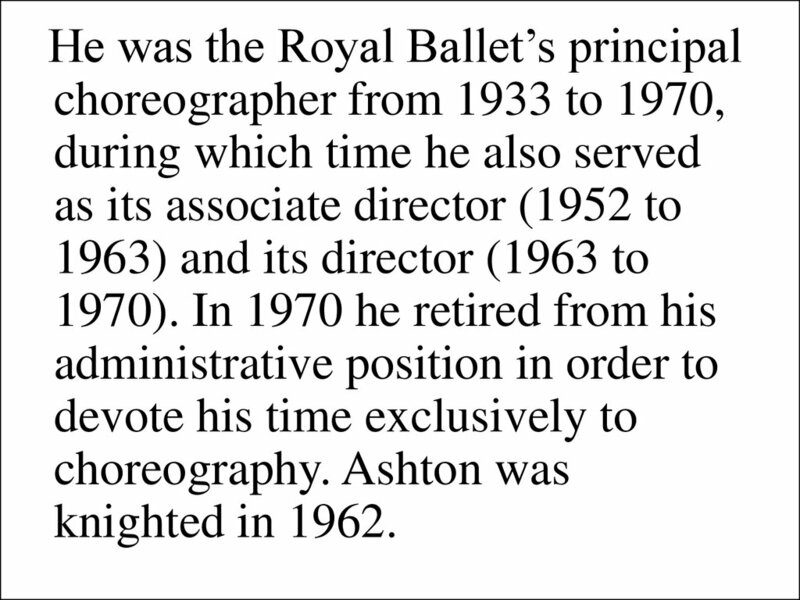 Gore, and Peggy van Praagh. 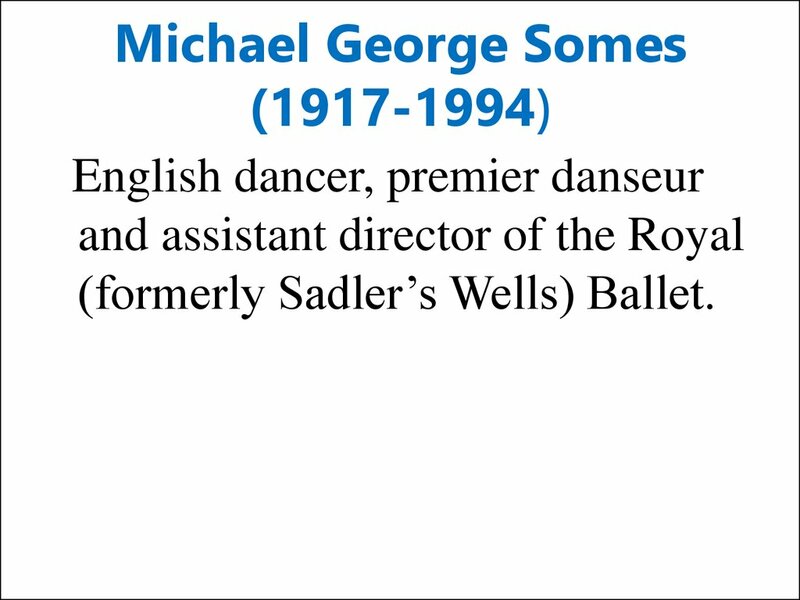 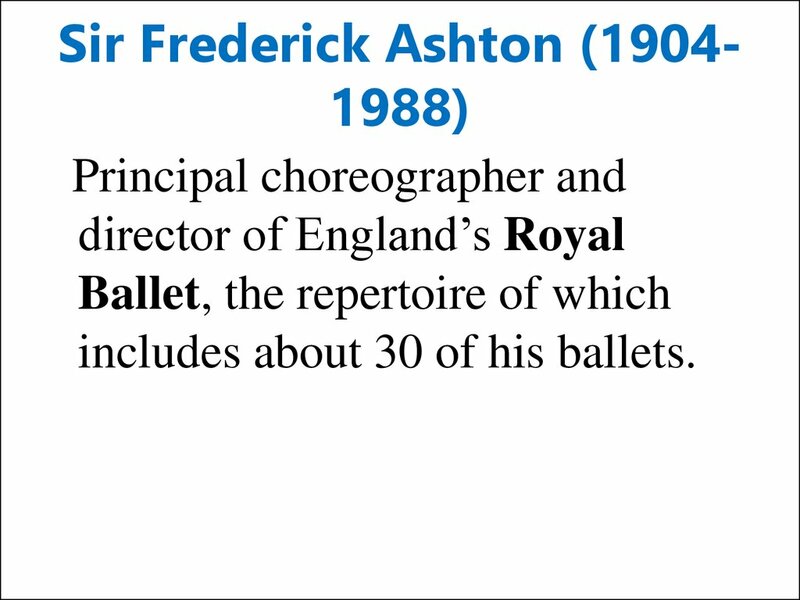 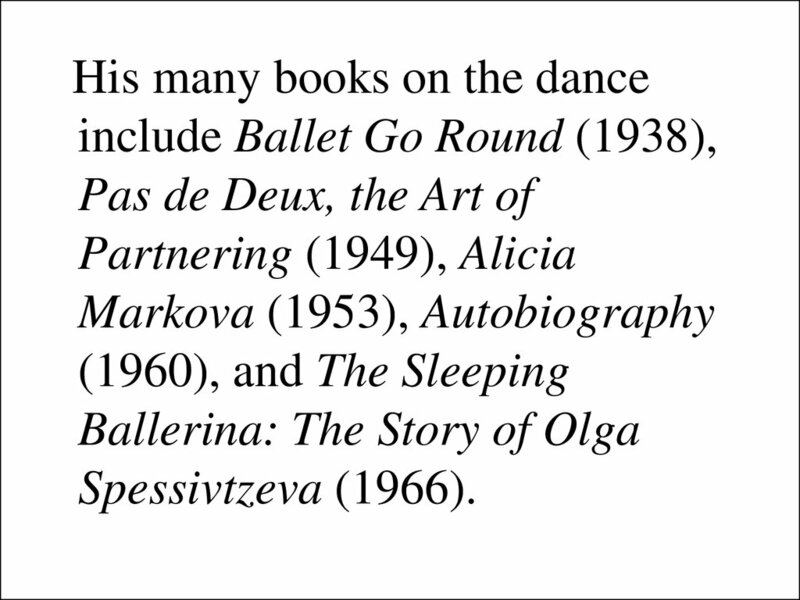 Royal Opera House in 1997.
includes about 30 of his ballets. 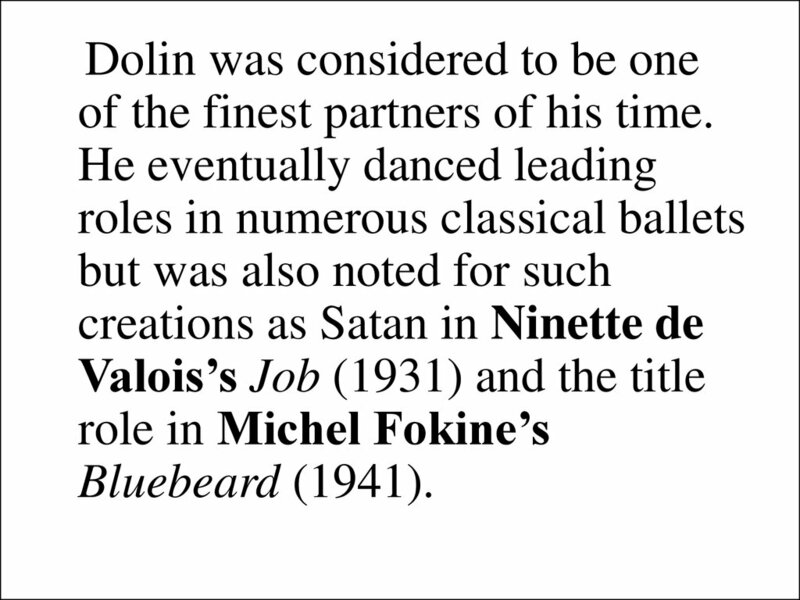 of the finest partners of his time. 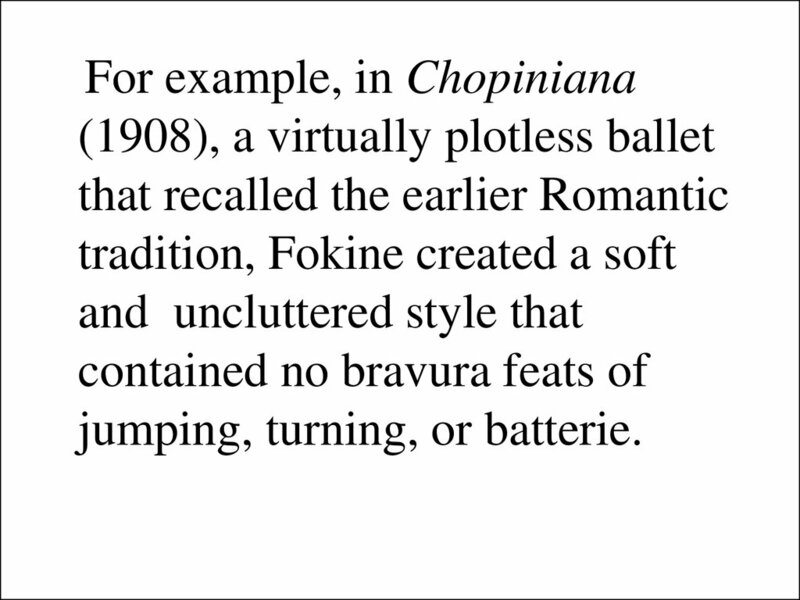 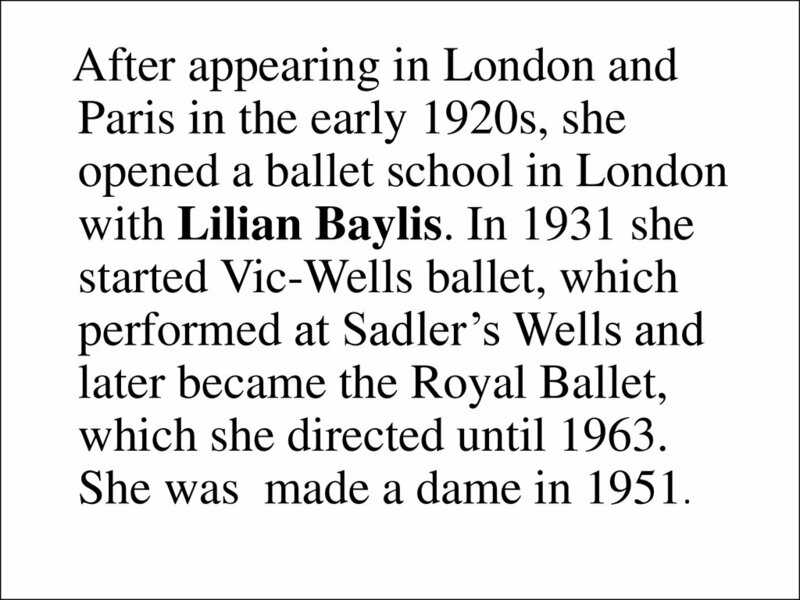 danseuse of the Vic-Wells Ballet. 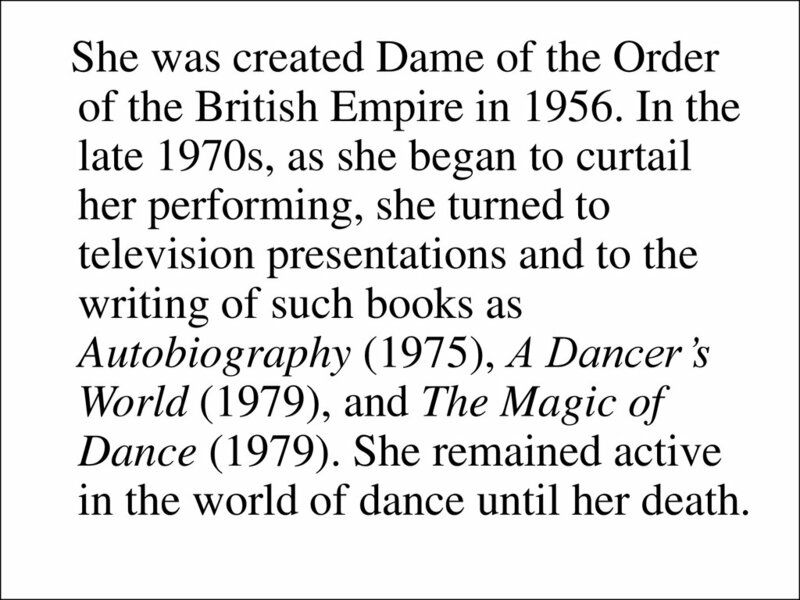 in the world of dance until her death. 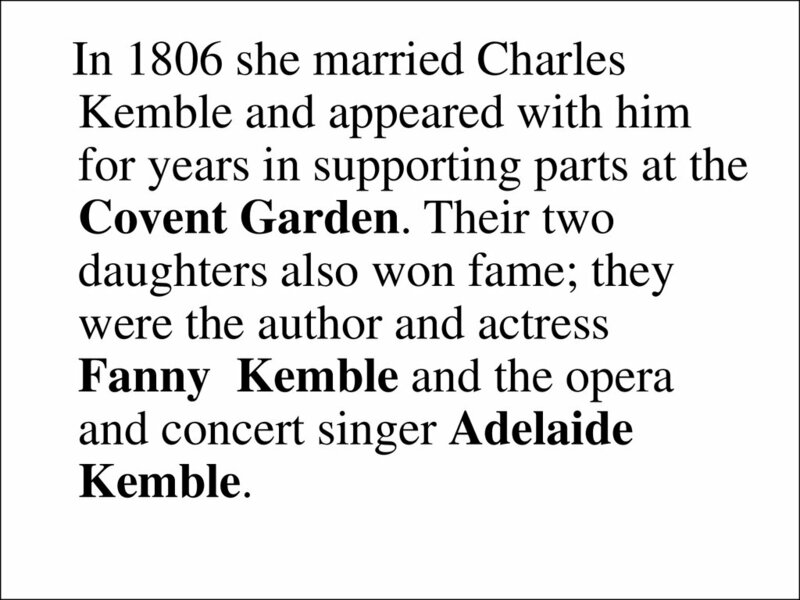 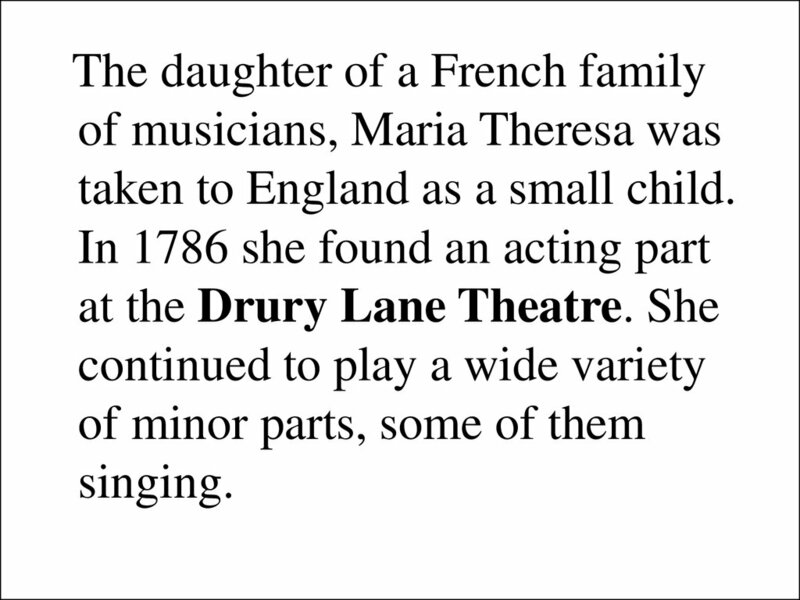 taken to England as a small child. 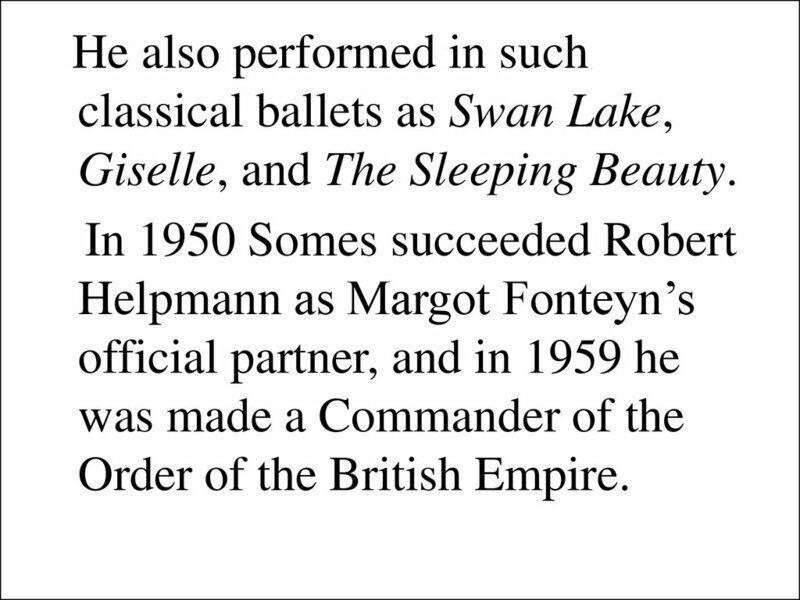 Giselle, and The Sleeping Beauty. 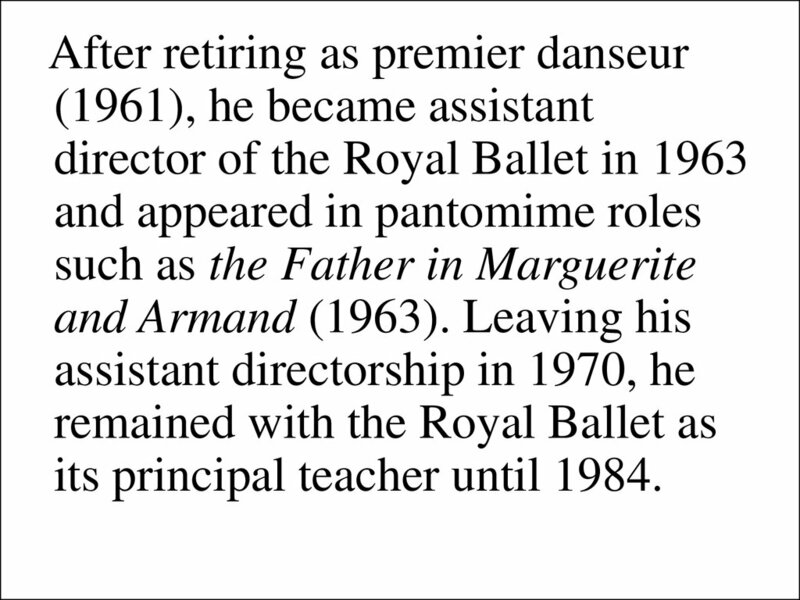 its principal teacher until 1984. 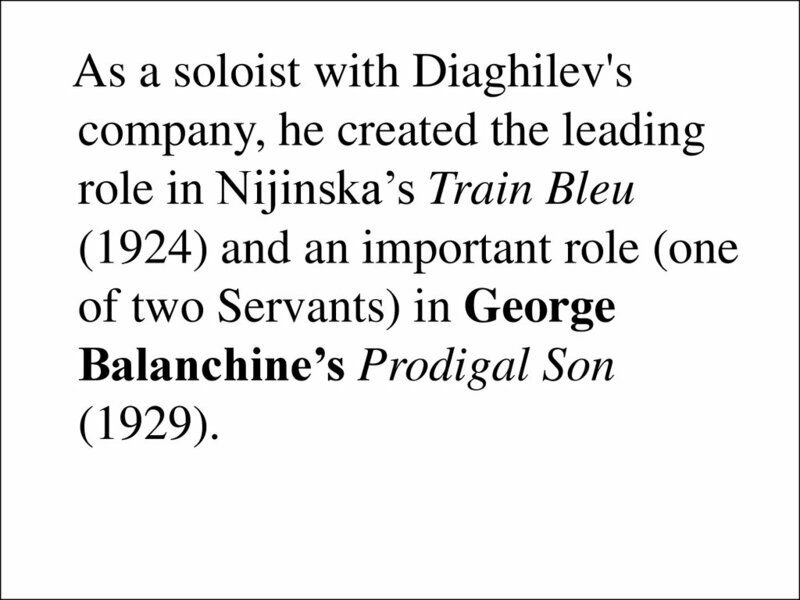 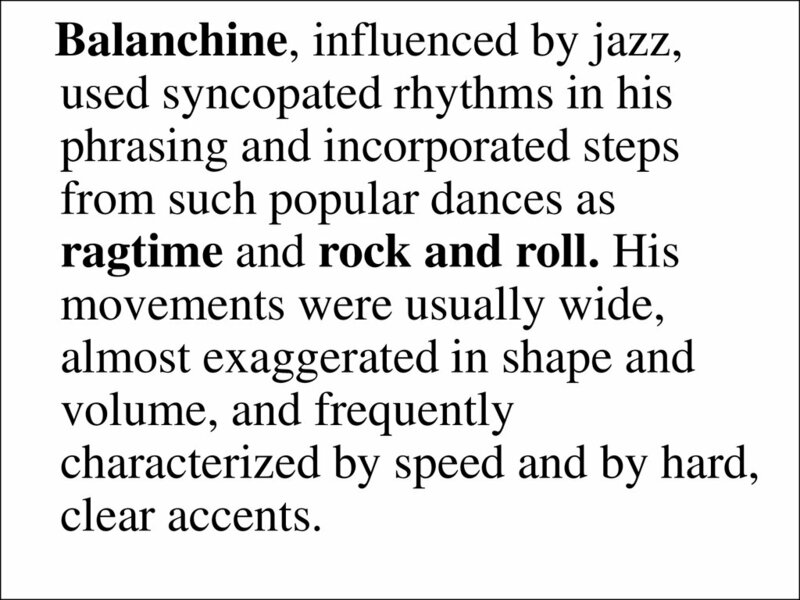 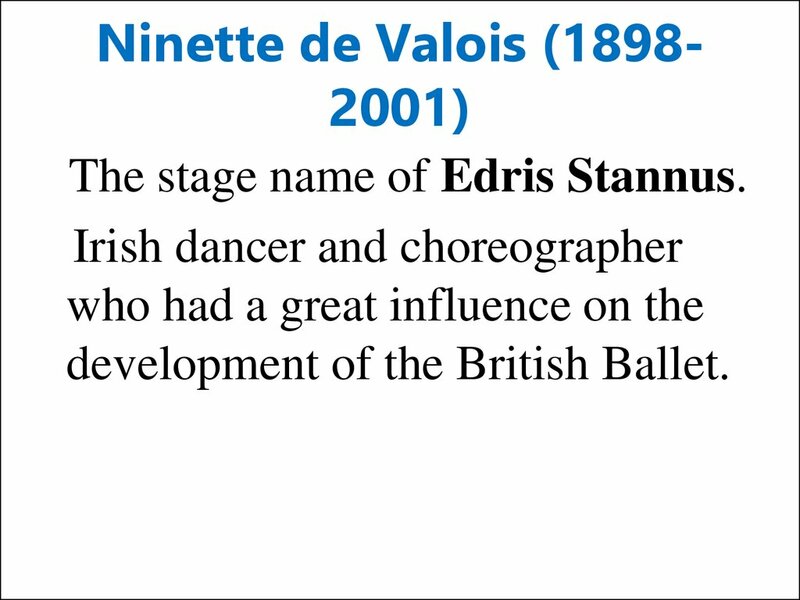 The stage name of Edris Stannus. 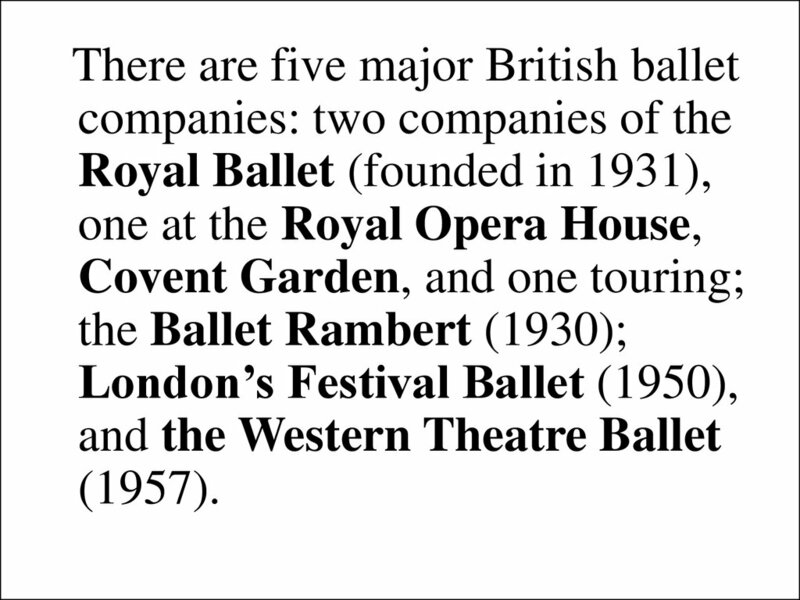 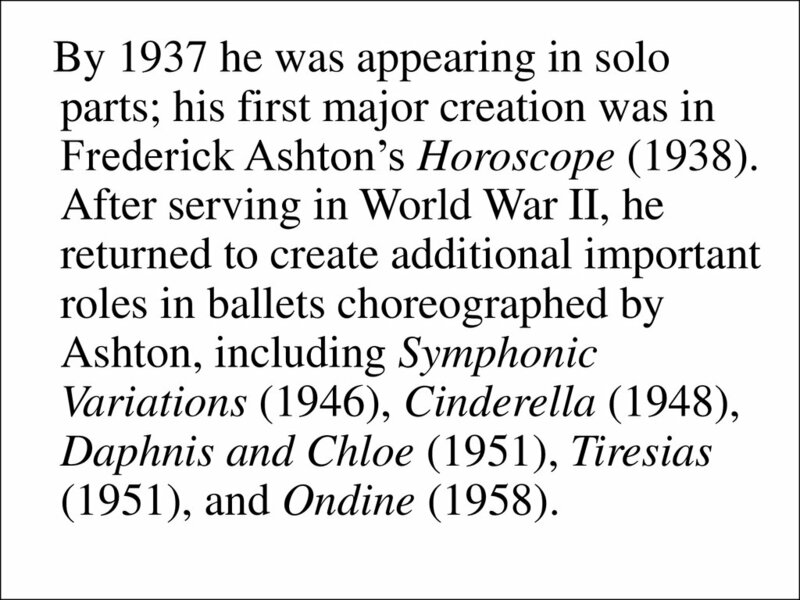 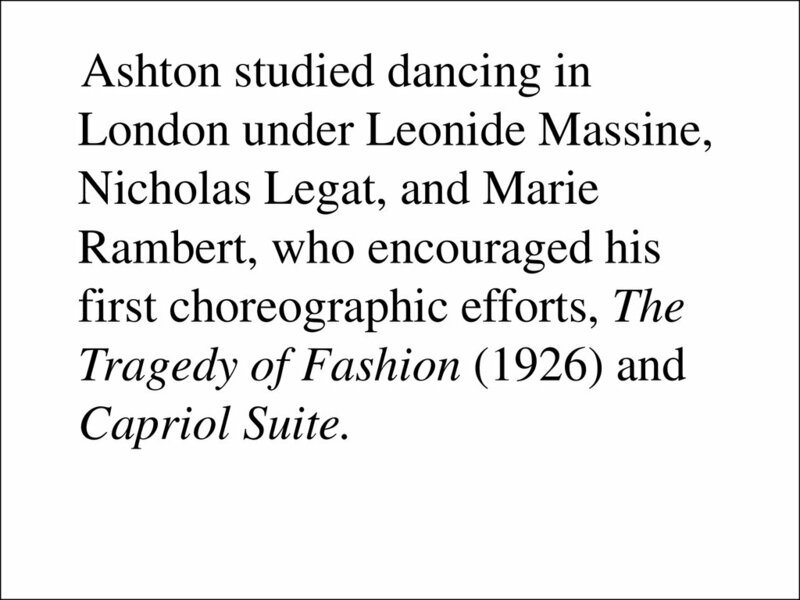 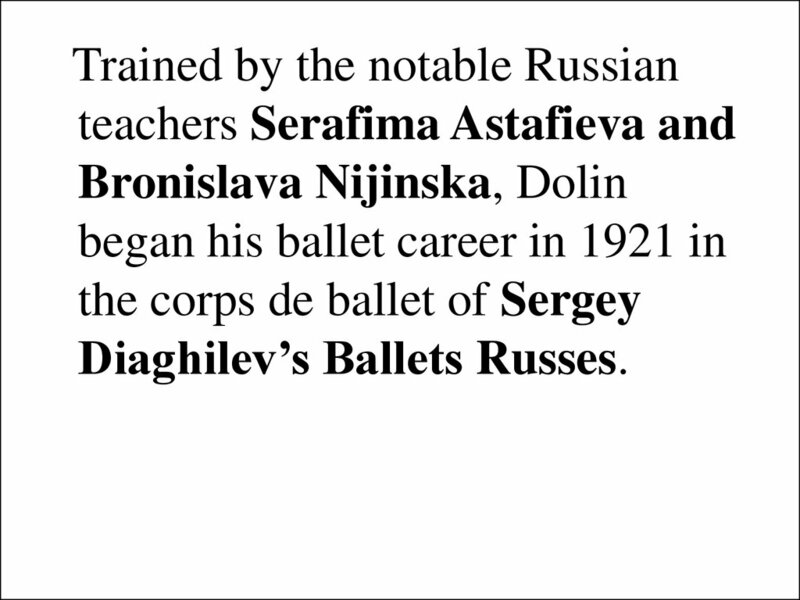 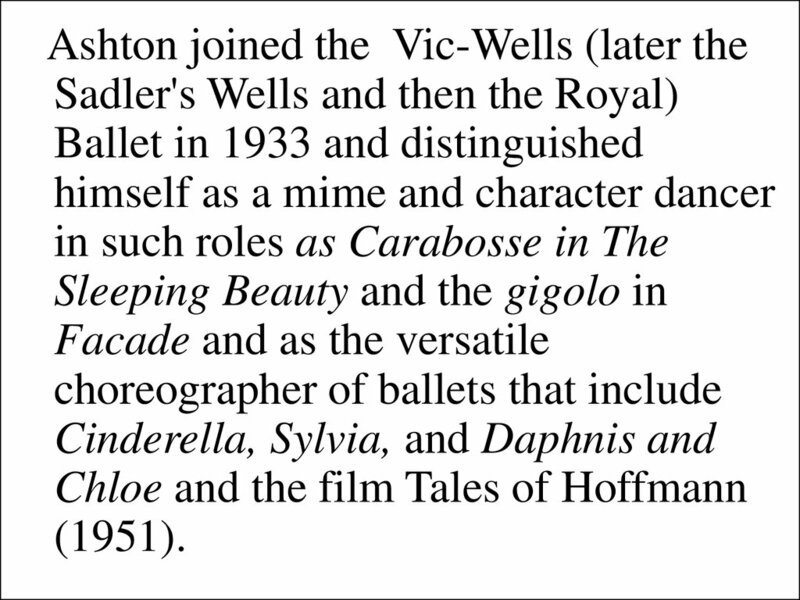 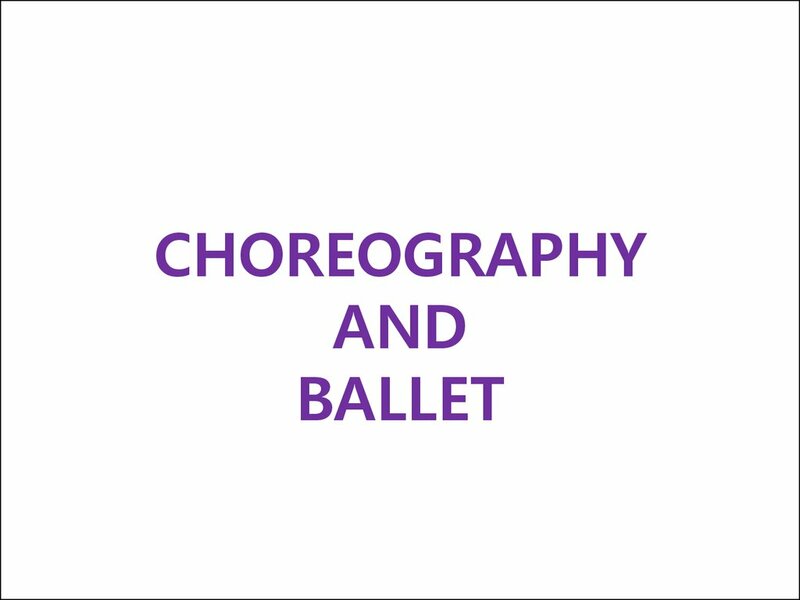 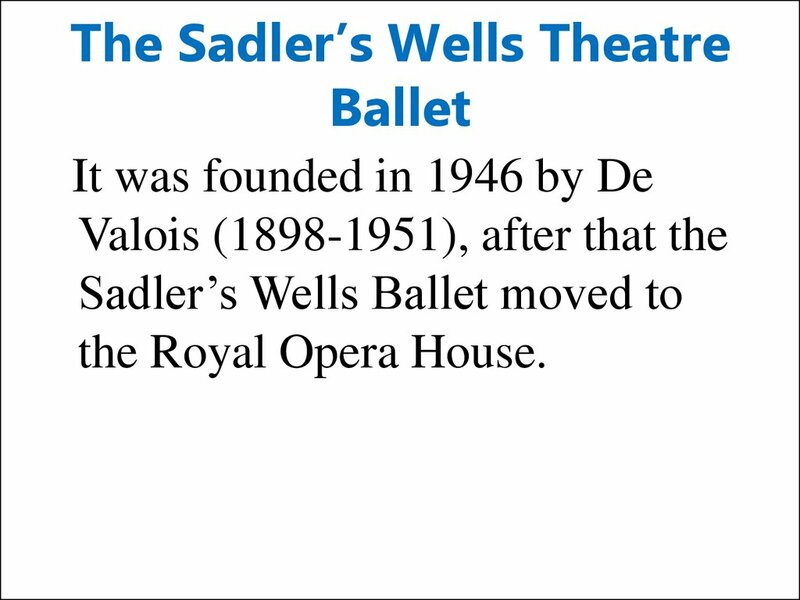 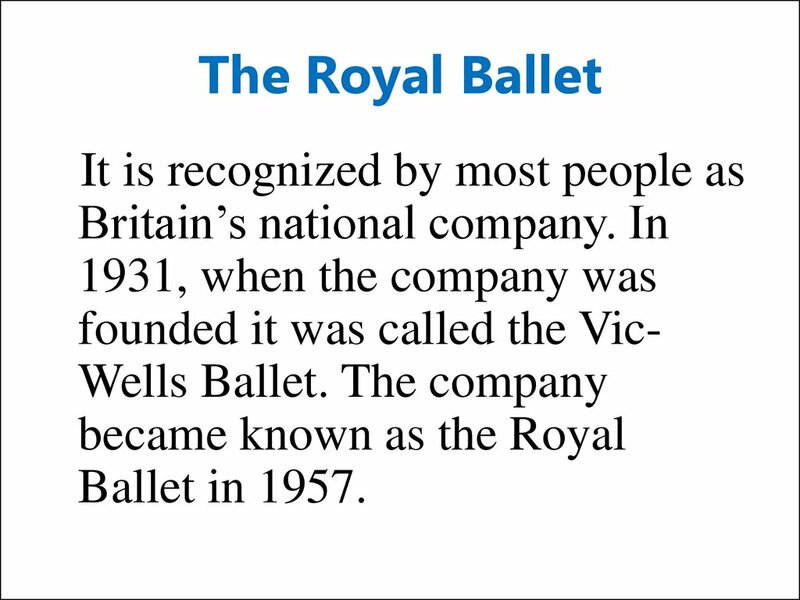 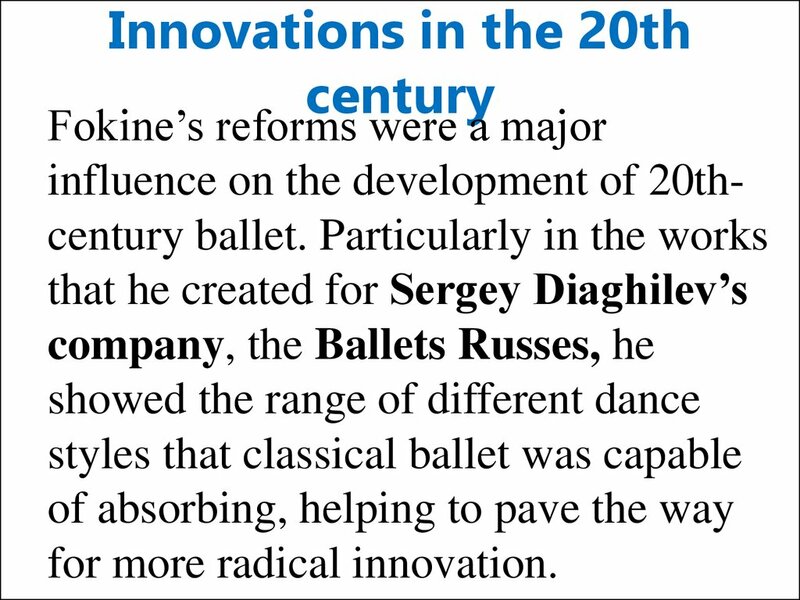 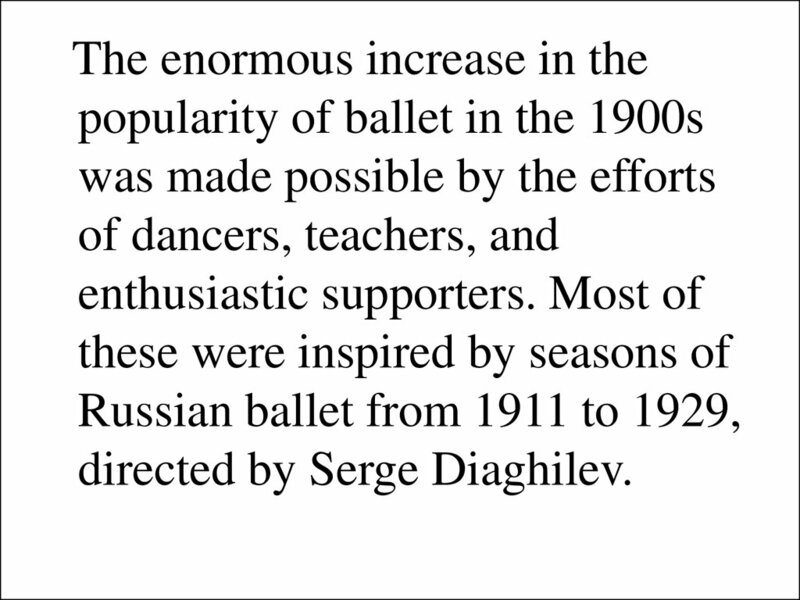 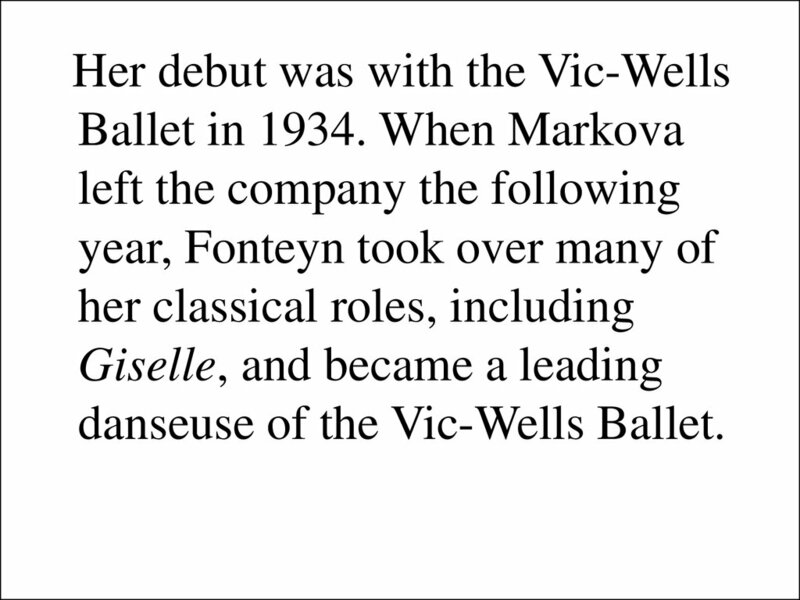 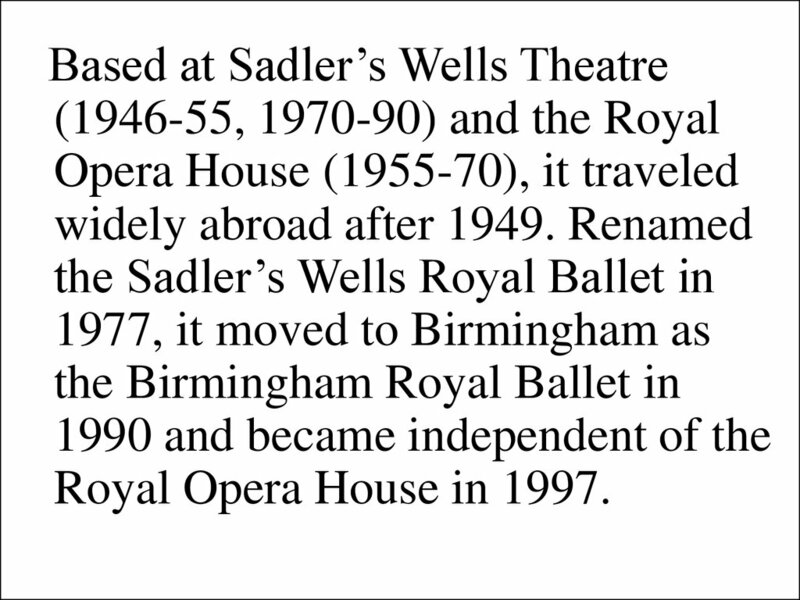 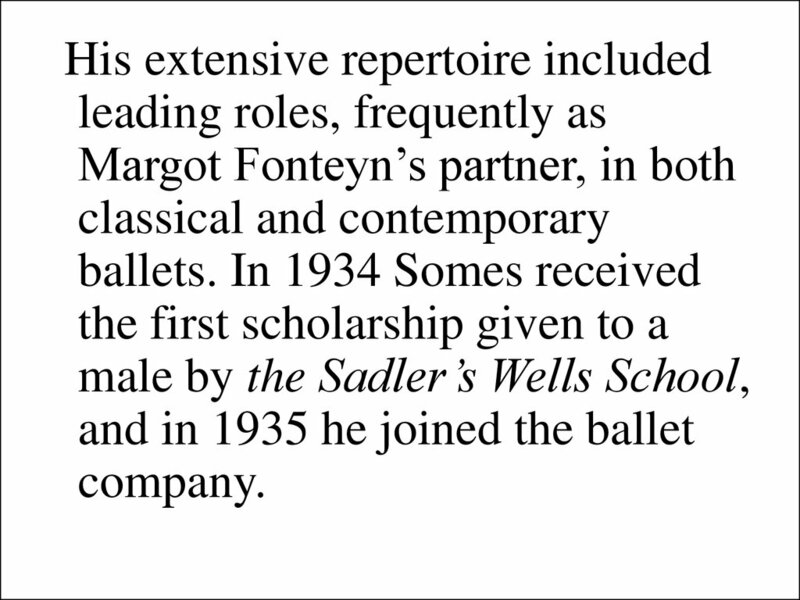 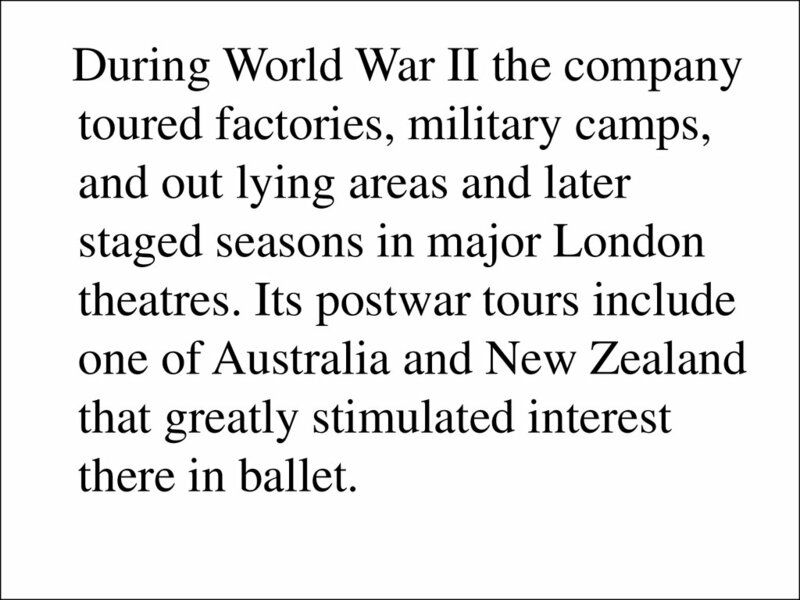 development of the British Ballet. 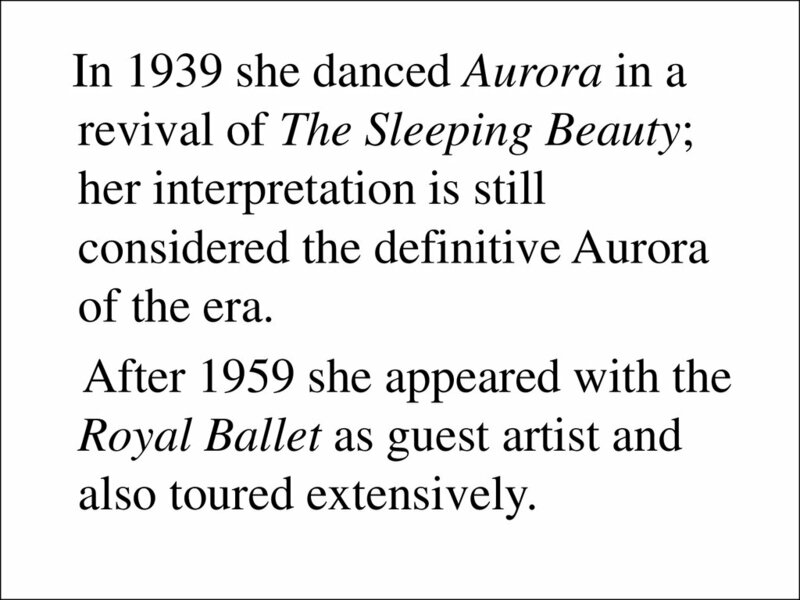 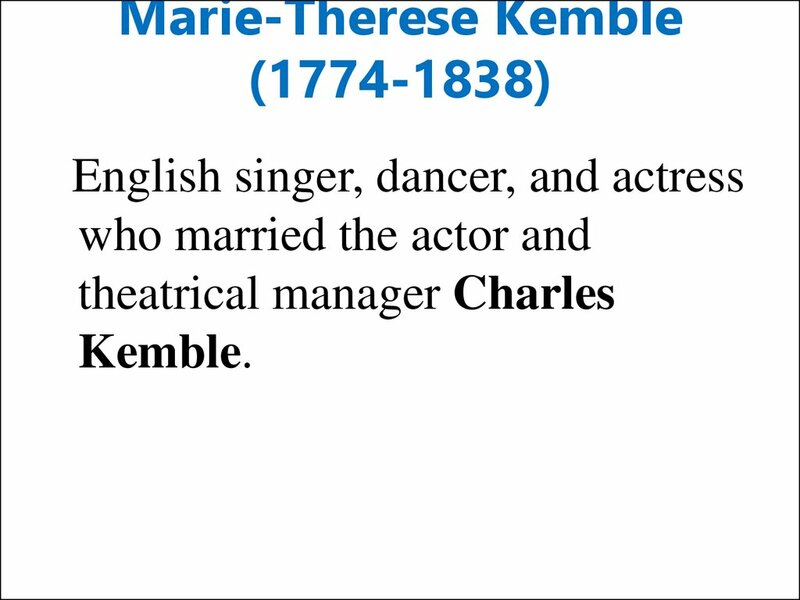 which she directed until 1963. 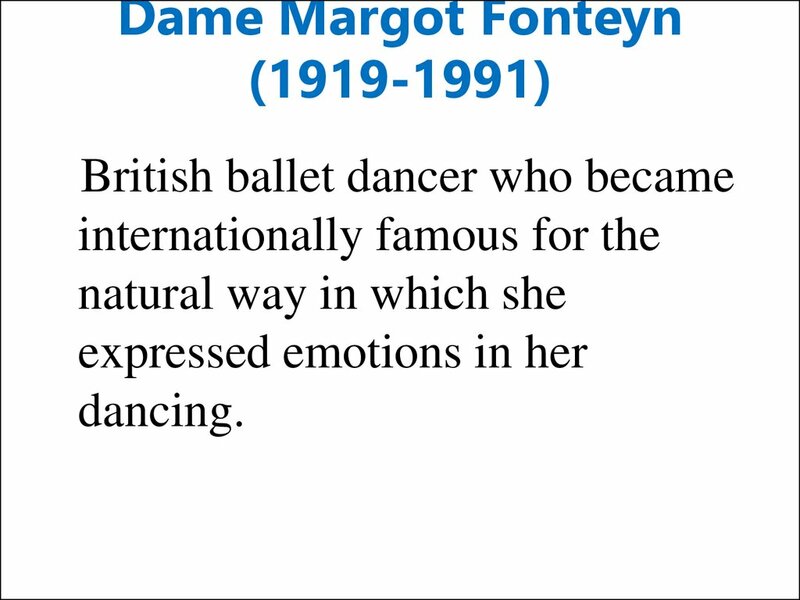 She was made a dame in 1951.